The elder daughter of Henry VIII, Mary I (1553-58) became England’s ruler on the unexpected death of her brother Edward VI. Her short reign is one of the great potential turning points in the country’s history. 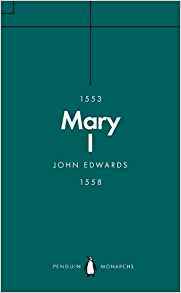 As a convinced Catholic and the wife of Philip II, king of Spain and the most powerful of all European monarchs, Mary could have completely changed her country’s orbit, making it a province of the Habsburg Empire and obedient again to Rome. 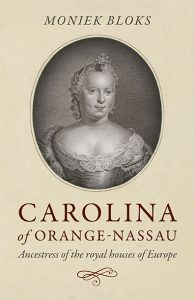 Carolina of Orange-Nassau (1743 1787) was born the daughter of William IV, Prince of Orange, and Anne, Princess Royal and was thus the granddaughter of King George II. It was upon the King’s orders that she was named after his wife, Caroline of Ansbach. She was the first of Anne and William’s children to survive to adulthood. When her father was at last made stadtholder of all seven united provinces, Carolina was included in the line of succession, in the event she had no brothers. A brother was eventually born, but due to his weak health, she remained an important figure. Carolina married Charles Christian of Nassau-Weilburg and suffered the loss of half her children, either in childbirth or infancy. Despite this, she acted as regent for her minor brother while heavily pregnant and remained devoted to him and the Dutch republic. Her children married well and her descendants sit upon the royal thrones of Europe, truly making her a grandmother of Europe. 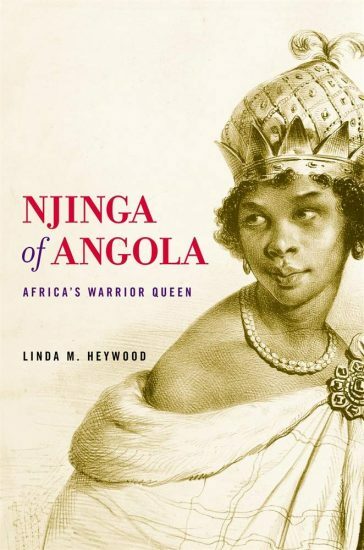 Though largely unknown in the West, the seventeenth-century African queen Njinga was one of the most multifaceted rulers in history, a woman who rivaled Queen Elizabeth I in political cunning and military prowess. In this landmark book, based on nine years of research, Linda Heywood reveals how this Cleopatra of central Africa skillfully navigated―and ultimately transcended―the ruthless, male-dominated power struggles of her time. In October 1773, after a grueling trek from Paris, the aged and ailing Denis Diderot stumbled from a carriage in wintery St. Petersburg. 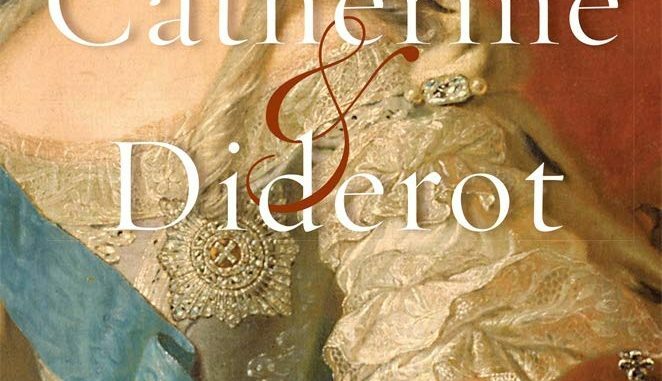 The century’s most subversive thinker, Diderot arrived as the guest of its most ambitious and admired ruler, Empress Catherine of Russia. What followed was unprecedented: more than forty private meetings, stretching over nearly four months, between these two extraordinary figures. Diderot had come from Paris in order to guide―or so he thought―the woman who had become the continent’s last great hope for an enlightened ruler. But as it soon became clear, Catherine had a very different understanding not just of her role but of his as well. Philosophers, she claimed, had the luxury of writing on unfeeling paper. Rulers had the task of writing on human skin, sensitive to the slightest touch. Diderot and Catherine’s series of meetings, held in her private chambers at the Hermitage, captured the imagination of their contemporaries. While heads of state like Frederick of Prussia feared the consequences of these conversations, intellectuals like Voltaire hoped they would further the goals of the Enlightenment. 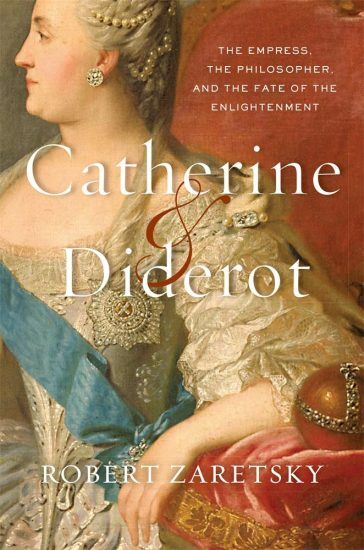 In Catherine & Diderot, Robert Zaretsky traces the lives of these two remarkable figures, inviting us to reflect on the fraught relationship between politics and philosophy, and between a man of thought and a woman of action. 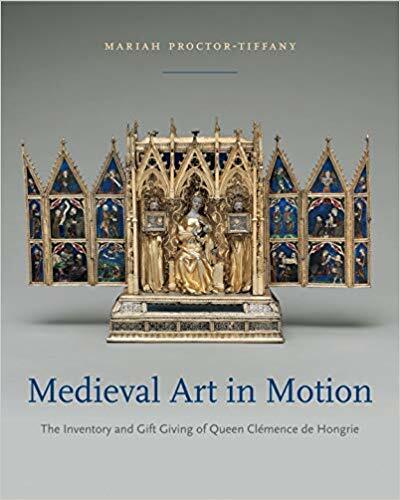 In this visually rich volume, Mariah Proctor-Tiffany reconstructs the art collection and material culture of the fourteenth-century French queen Clémence de Hongrie, illuminating the way the royal widow gave objects as part of a deliberate strategy to create a lasting legacy for herself and her family in medieval Paris. After the sudden death of her husband, King Louis X, and the loss of her promised income, young Clémence fought for her high social status by harnessing the visual power of possessions, displaying them, and offering her luxurious objects as gifts. Clémence adeptly performed the role of queen, making a powerful argument for her place at court and her income as she adorned her body, the altars of her chapels, and her dining tables with sculptures, paintings, extravagant textiles, manuscripts, and jewelry—the exclusive accoutrements of royalty. Proctor-Tiffany analyzes the queen’s collection, maps the geographic trajectories of her gifts of art, and interprets Clémence’s generosity using anthropological theories of exchange and gift giving. Engaging with the art inventory of a medieval French woman, this lavishly illustrated microhistory sheds light on the material and social culture of the late Middle Ages. Scholars and students of medieval art, women’s studies, digital mapping, and the anthropology of ritual and gift giving especially will welcome Proctor-Tiffany’s meticulous research.